Dundalk and Bohemians face at Oriel Park, in a match for the 7th round of the Premier Division. At this stadium, the head‑to‑head history favours the home team, since they have a record of 6 wins, 1 draw and 2 losses in the last 9 matches. Sure enough, the last time these teams met at this stadium, on 29‑07‑2018, in a match for the Premier Division, Dundalk won by (2‑0). The goals of the match were scored by S. Hoare (31' ) and P. Hoban (52' ) for Dundalk. 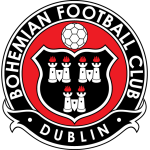 In this match the home advantage may play an important role, since Bohemians presents significant differences between home and away performances. After 3 wins and 3 draws, the home team is in the 2nd position, havinf won 12 points so far. In the last match, they have won in an away match against Derry City by (0‑2), after in the previous match they have won (4‑0) at home, against Waterford United. This is a team that usually maintains its competitive level in home and away matches, since in the last 30 matches they register 10 wins, 3 draws and 2 losses in away matches, with 23 goals scored and 11 conceded; against 10 wins, 3 draws and 2 losses at their stadium, with 35 goals scored and 14 conceded. 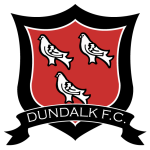 In the last 10 home matches Dundalk has won 6, tied 3 and lost 1. In this competition, they haven’t lost any of the last 6 matches. Their offense has scored consistently, as they have scored goals in 5 of the last 6 matches for this competition. In the last 4 home matches for all competitions there is 1 period that stands out: they have scored 4 of their 7 goals between minutes (46'‑60'). Confirmed Lineup: G. Rogers, D. Cleary, S. Gannon, S. Hoare, D. Jarvis, J. Mountney, J. McKee, J. Flores, J. McGrath, M. Duffy, P. Hoban. The away team is currently in the 3rd position of the league, with 11 points won, after 3 wins, 2 draws and 1 loss. In the penultimate match, they tied in a home match against Derry City, by (1‑1). In the last match, they lost in an away match against Cork City, by (2‑0). This is a team that usually gets better results in away matches than at home, since in the last 30 matches they register 10 wins, 2 draws and 3 losses in away matches, with 30 goals scored and 9 conceded; against 7 wins, 5 draws and 3 losses at their stadium, with 29 goals scored and 15 conceded. In the last 10 away matches Bohemians has won 6, tied 2 and lost 2. Confirmed Lineup: J. Talbot, R. McCourt, P. Kirk, A. Barry, R. Cornwall, A. Lyons, K. Devaney, K. Buckley, D. Mandroiu, R. Swan, A. Reghba.